You can be sure your new apartment home at Willowbrook Apartment Homes will be spotlessly clean and fully functional when you move in, thanks to our Morgan Properties 101-point inspection. All you have to do is unpack and get comfortable. 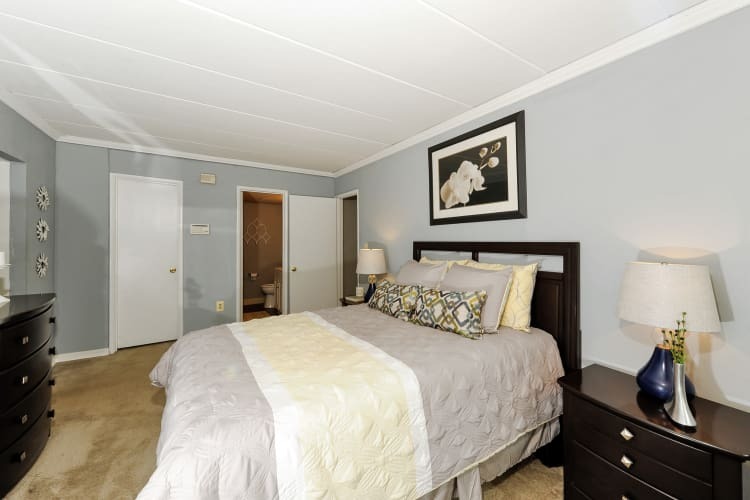 Choose your floor plan from one bedroom layouts sized at 690 square feet, two bedroom designs measuring 960 and 1,100 square feet, and our three bedroom floor plan amply sized at 1,200 square feet. Whichever you choose, you’ll have room to relax. Get the living space and storage you need with spacious rooms, large closets, and available pantry and linen closet. Opt for a home with a redesigned kitchen and be inspired by modern finishes, rich cabinetry, and handsome and efficient appliances. Let the natural sunlight pour through your extra-large windows, or enjoy your privacy with custom window coverings. Apartment homes are cable and high-speed internet ready, so you’re always connected to the entertainment and information you crave. Visit our Amenities page to view the full list of fabulous features and advantages at Willowbrook Apartment Homes near the Mount Washington neighborhood of Baltimore, MD.